Every day is a holiday when the beach is only a few minutes' walk away.. Headline amenities include the awesome natural sand beach on the waterfront that is almost ¼ mile in length, a proposed boat moorage and Community Centre with indoor pool, beach volleyball, as well as numerous dedicated footpaths and green spaces throughout the development. The mountain home feel of both communities will be assured by the architectural controls that have been put in place. Accessed either on the designated walking path or on Baltac Rd (parking available), the sandy beach and picnic area is a dream for families and a perfect spot for a quick evening dip or starting point for a kayak tour. Have you been on the Lake Windermere Whiteway, the world's longest skating trail yet? You can access it right from the beach as well. The two communities are going to grow sustainably and will offer more amenities as more families have moved in. 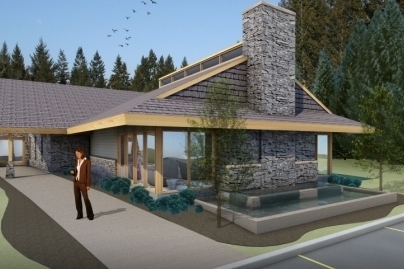 The proposed communal boat moorage facility is in the regulatory permitting stages. If approved, the Pedley and Stoddart owners will have access rights to stall rentals depending on availability. The future Rec Centre is planned to have an indoor pool, exercise room and lounge area. All of the lots are easy to build on and provide hassle free hook-up to all services. Municipal water and sewer along with underground power, telephone and propane are available at lot line.